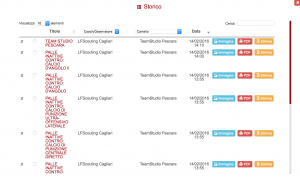 The “Coach Editor” is a multilingual application designed to facilitate the work of coaches, technical staff and analysts. It’s a web app accessible from any device from any place at any time. losing intuition and fantasy that must be the foundation of every coach’s attitude. Next-generation software that allows you to save all your data in a single database. 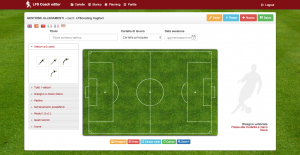 Created to organise, optimise and speed up your coaching and analysis. This web app is for both professionals and enthusiasts. Forget pens and papers, you can easily jot down notes on every individual training material, as well as any changes or additions during your progress. reliable and can be sent via PDF as attachment. The application allows you to optimise the training sessions management and to develop your weekly schedules. The data can be consulted at any time by the coach and the staff members. possibility to search by date, name or folder. Build and consult your archive rapidly thanks to research by parameters. Training materials and any other projects can be filtered by parameters. The application is graphically attractive and its design allows to manage everything even through a simple tablet touch screen, in addition to ensuring easy access to the functions, allows people to be able to move anywhere, anytime. 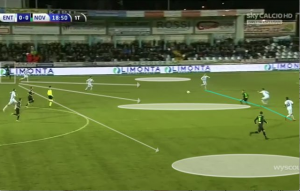 In addition, the drag and drop advanced feature allows to place the players in the virtual field. An important feature for the coaches is animation, which allows the display of animated tutorials and explains how to create frames. 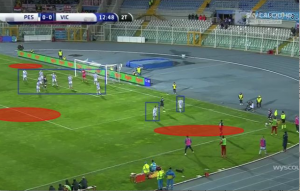 Ability to import images (captured by a mobile device) for LiveMatch analysis or upload a video on your hard-disk and capture a frame on which to highlight the details. 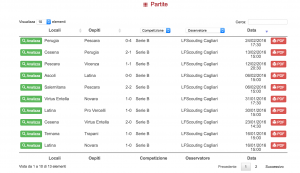 Link with the web app LFS scout to import the matches and data in real time and to analyse everything through the editor. 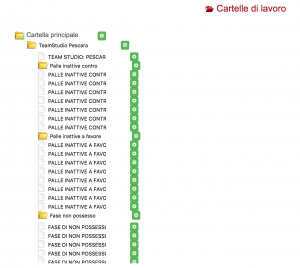 Organisation of the the work.